Smoke almost 2..ready for breeding?? Smoke is an awesome Rose Grey proven male. 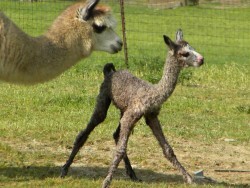 He is the offspring of our own 2 Champions, Simba's Rosie and Chase Tavern Greybeard's Ghost. 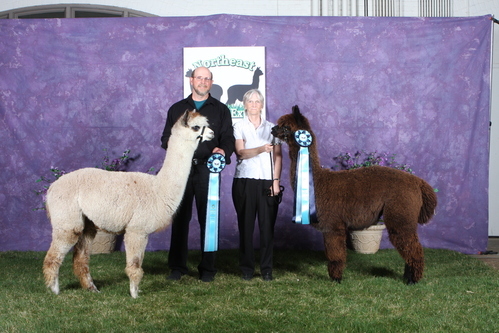 He took 2nd in Halter at NE Alpaca Expo and his fleece took 3rd at Nationals. 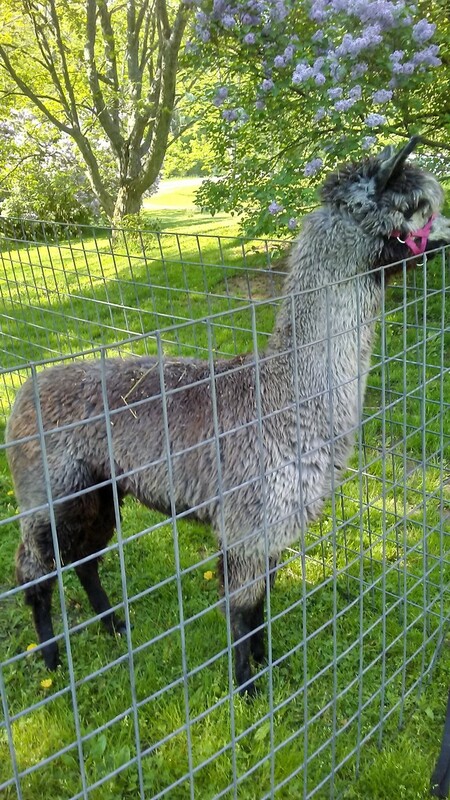 He has a load of fiber and it spins into beautiful yarn. 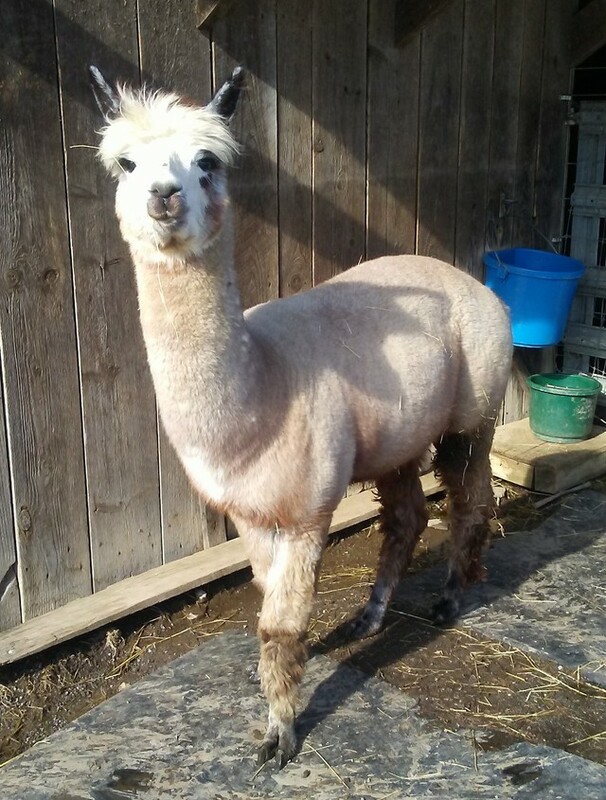 He has a easy going disposition, walks well on halter and is very gentle. He will make an awesome herdsire for someone's farm. 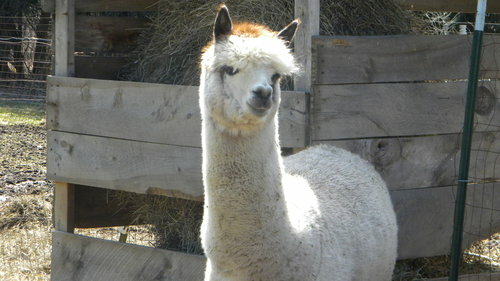 He also is available for breedings, only $100 . 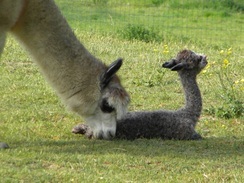 He has produced an awesome grey male cria. Don't miss out on this great deal! Our farms offers financing at zero percent interest for up to three years.